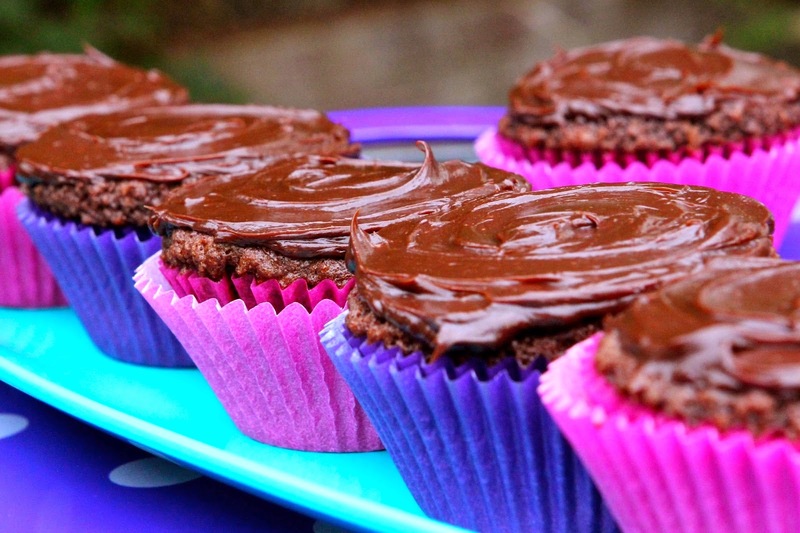 Our first bake of the month is from Kate at The Gluten Free Alchemist with her gloriously dark and glossy gluten free Chocolate 'Surprise' Cupcakes with Dark Chocolate Ganache cupcakes. 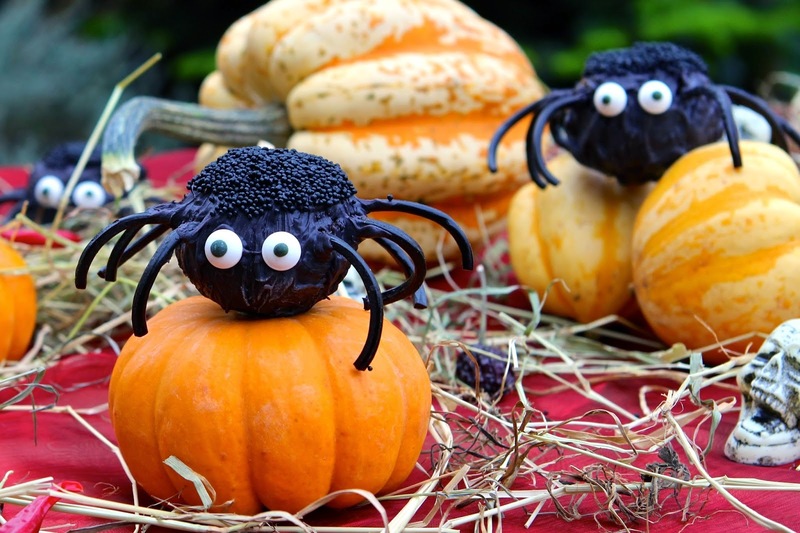 Perfect for all year round but if you fancy something different for Halloween they do have a hidden treat in the middle. 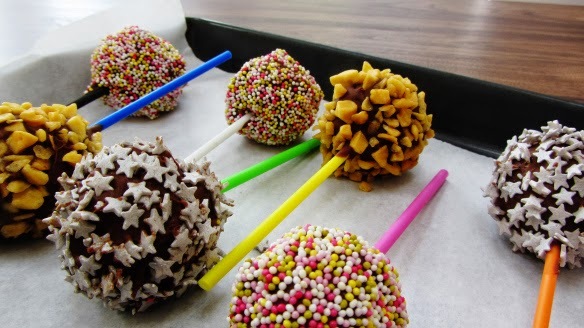 Are they cake pops or cake balls? Who knows but since they are cakes on a stick does it really matter? Corina at Searching for Spice has been making these up in support of the #FeelingNuts campaign. These individual spherical baked goods (yeah, cake pops or balls is far more catchy) are made with soft dark brown sugar for a lovely caramel taste. 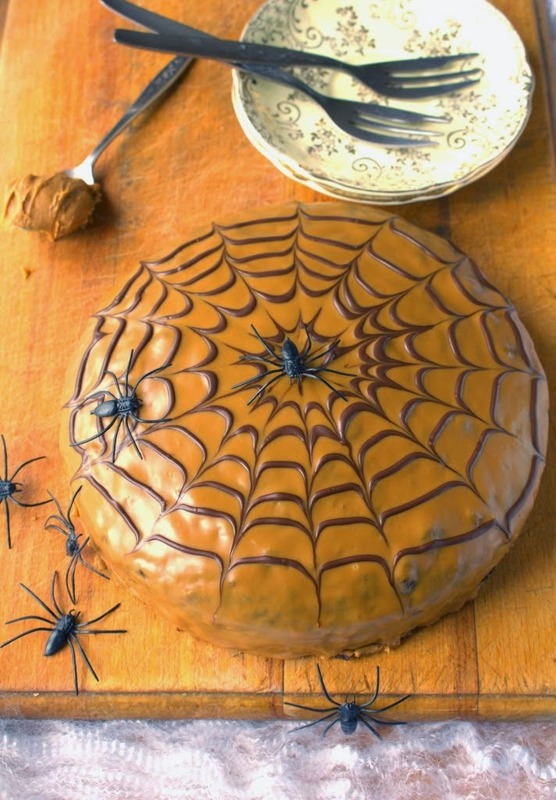 Treacle and spice and all things nice have been making their way into the kitchen of Laura of I'd Much Rather Bake Than... for her Treacle Cobweb Cake with Speculoos Spread Icing. 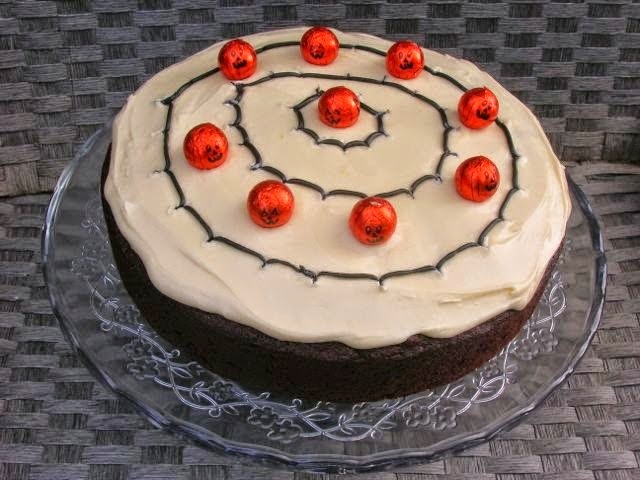 A marvellously simple cake which defies its appearance this would be a fantastic centrepiece for any Halloween spread. What goes into your brownies to make them devilishly dark, rich and squidgy? Ros from The more than occasional baker has gone all out for her Oreo Peanut Butter Swirl Brownies. There's even a helping of mini peanut butter cups thrown in for good measure. Perfect for these cold days with a big, steaming mug of tea. My daughter often enthuses about things and calls them 'epic' which I'm not always sure is worthy of the description. However when Caroline of Caroline Makes... made an Epic 5-Layer Chocolate Cheesecake, Cheesecake Factory Style it certainly lived up to its awesomeness. There is a cake base, cheesecake layer, chocolate mousse, chocolate ganache and it is all topped off with some Hershey's Kisses. Epic! It's that time of year where we start looking towards the earth for our supply of vegetables. 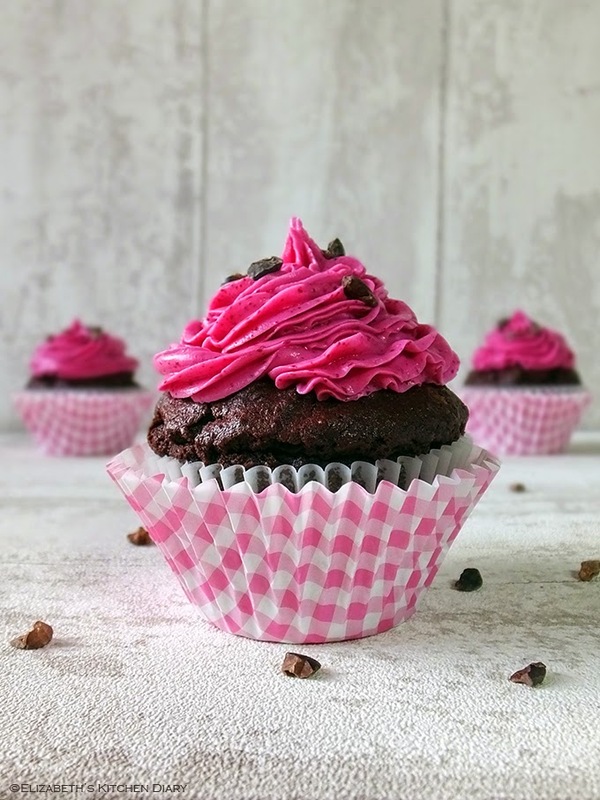 Elizabeth from Elizabeth's Kitchen Diary has been raiding her Shetland organic veg box to come up with her Roasted Beetroot and Raw Cacao Nib Cupcakes. These are for real dark chocolate lovers with raw cacao nibs and 70% dark chocolate. Ghouls, ghosts and witches can leave many people cold and not just in the haunting sense. Choclette of Chocolate Log Blog decided she couldn't ignore Halloween anymore and definitely not if it meant the opportunity to bake a cake! Her Chocolate Pecan Pumpkin Cake even includes a spirit – rum in the icing! The dark jewel of autumn is undoubtedly the blackberry. 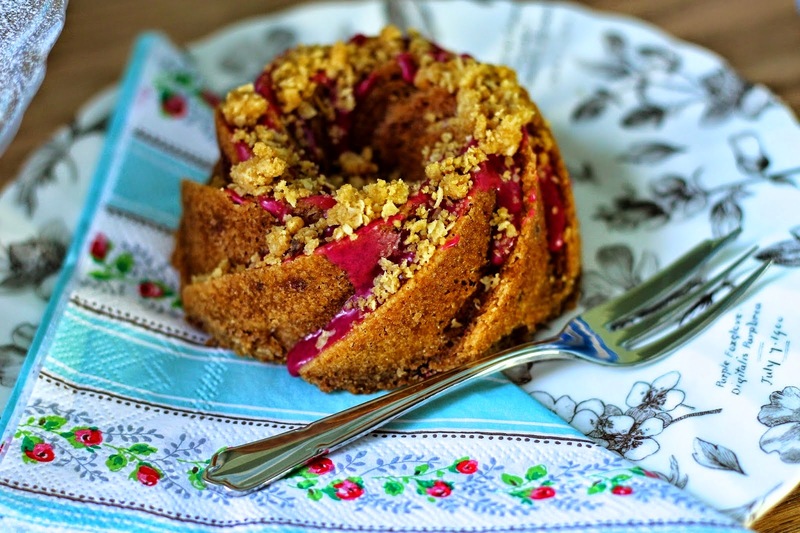 Kevin of The Crafty Larder has been using his stash of blackberries for his Apple and Blackberry Crumble Bundtlettes. A glorious fresh take on a humble crumble these contain seasonal spice from cinnamon and some oaty goodness. Although Kate's cupcakes were dark they certainly weren't terrifying enough for Halloween so she set upon scaring herself silly with some Halloween Cake Pop Spiders. With a chocolate sponge body and liquorice legs this cluster of cake spiders these could cause a delightful fright or two. One of my favourite cakes is good, old-fashioned fruit tea loaf. It really is a lovely tea-time cake. 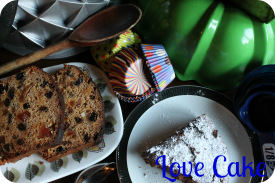 Angela of Garden Tea Cakes and Me has updated a classic to make it an Earl Grey Fruit Tea Loaf. This is all mixed together with dark muscovado sugar, dried prunes and figs and some mixed spice. Perfect washed down with a pot of tea. 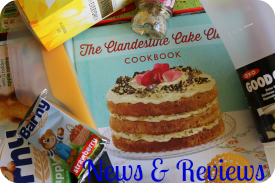 A search for a recipe to use up bags of crystallised ginger led Ros to make her Crystallised Ginger and Beer Cake. With black treacle and stout in its ingredients to this is cake for the cold, dark days when the warming spices of ginger and cinnamon are at their best. Finishing up this month is my Chocolate and beetroot cake. Designed for a Clandestine Cake Club meeting with the theme of 'Market fresh/seasonal' this has cocoa powder and dark chocolate chunks in it. There's no need to boil or roast the beetroot. Simply grate the beetroot finely and mix in. 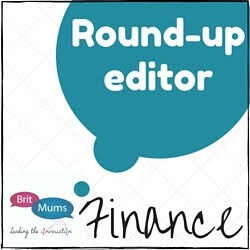 Thank you to everyone who has joined in this month. 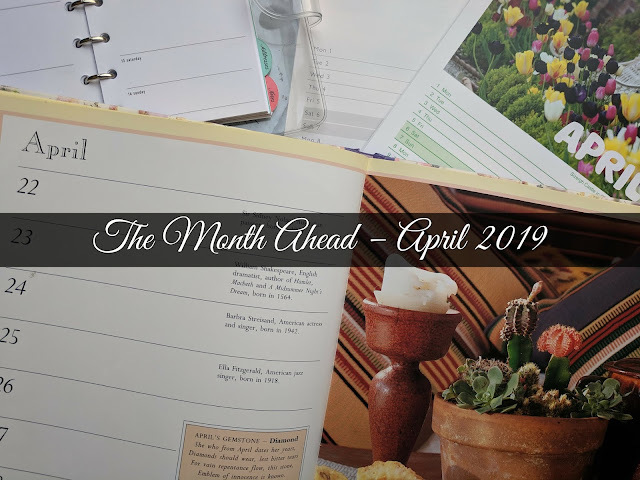 There's a seasonal twist for next month's theme as well so I hope you will 'pop' by for that as well in a couple of days. Brilliant round up Ness. Your choice of theme has attracted some wonder cakes and I'm looking forward to next months theme now. What an amazing selection of dark and very dangerous treats! I remain very jealous of Laura's spider-web piping skills!!!!! 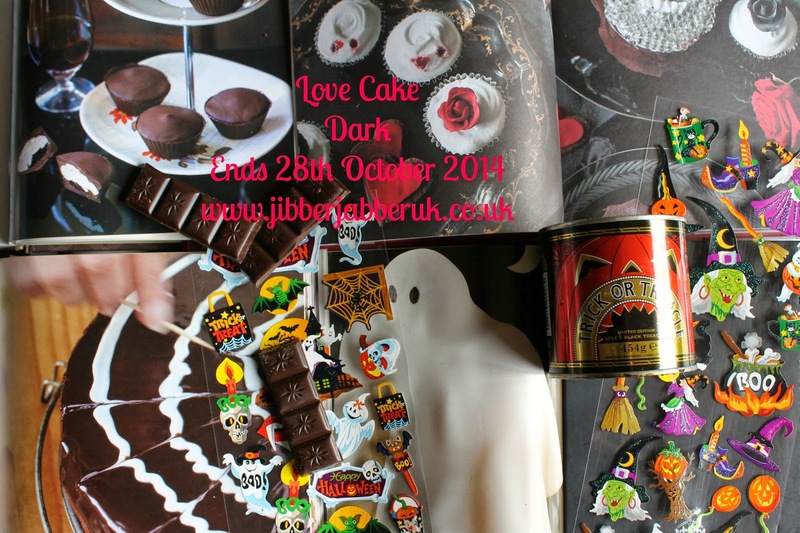 It all looks far too pretty for Ghoulish Halloween - lovely round-up Ness with some fabulous cakes. Yum I could eat every one of those!